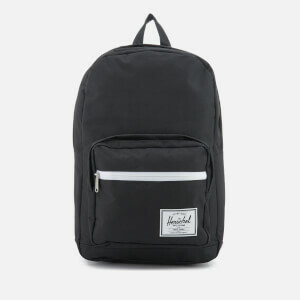 Black logo-emblazoned backpack from French multinational high fashion house, Lanvin. 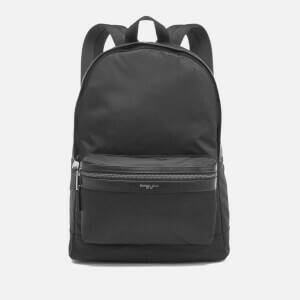 Constructed from technical fabric with black calfskin leather accents, the rucksack’s focal point comprises an exclusive Lanvin print diagonally crossed out with a reflective patch on the front zip pocket. 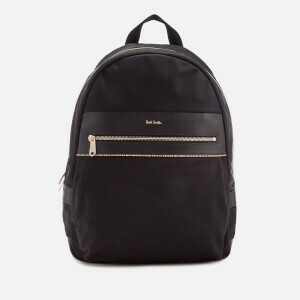 The zippered main compartment offers ample, textile-lined space for everyday essentials. 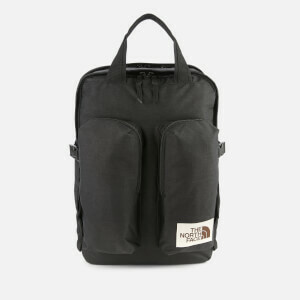 A woven top handle and padded shoulder straps with adjustable metal buckles transport the bag. Complete with leather zip pulls adorned with Lanvin branding. Protective dust bag included.